Outhouse Rag: Caption Time #76: Harley-Davidson man? Caption Time #76: Harley-Davidson man? 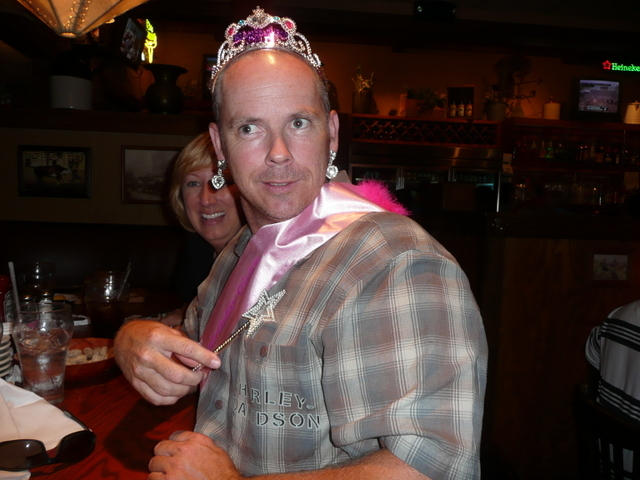 You know, a lot can be said about a man in a tiara, earrings and a Harley Davidson shirt. That is truly a man in touch with his feminine side. Heeeyyyy... Bet your a mid-town Harley rider aint cha??? Jody, Do you know the guy in the "Hey Ladies!" post from today? Just wondering. Game!?! Dude, after 18 years of marriage -- you have no game! I love that shirt and where can I get one for my husband. Or does it come in sizes to fit a real man? What is holding the tiara on Jody's head? There is no shame in my game BABY!!!!! Yes, But he's my man!